The multiplayer racing game allows users to race against other players asynchronously through side-scrolling environments. Klang Games announced the release of ReRunners on iOS and Android. Published in partnership with Tilting Point, the multiplayer racing game allows users to race against other players asynchronously through side-scrolling environments. ReRunners allows users to compete against friends or other players around the world. The game’s asynchronous multiplayer sees users race against the ghosts of other players. Users have access to jet packs, bombs and other power-ups while playing. As users progress, they can level up their characters and unlock new skills, including double jumping, gliding and dashing. Users can also customize their characters with “hundreds” of outfits. We wanted to create a game that offers players a deep multiplayer experience, without over-complicating the gameplay. 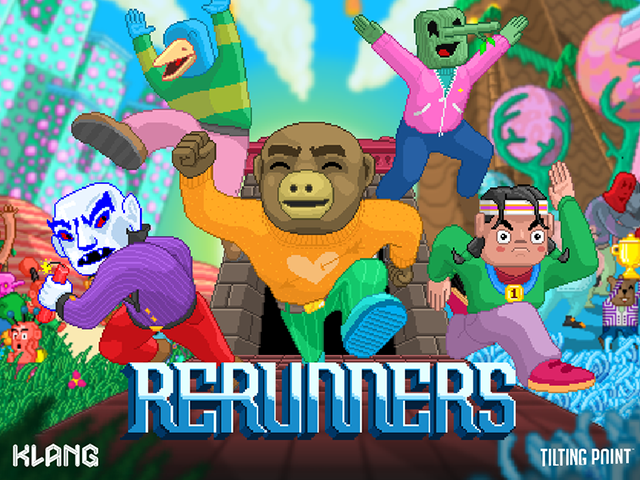 Depending on how a player chooses to play, ReRunners can be one of the most sweat-inducing, thumb-trembling, competitive mobile gaming experiences ever, or a casual, open-world platformer, perfect for bathroom breaks. What thrills me is imagining how skilled players will become; the ReRunners Beta community has already set the bar high, outdoing the Devs. I can’t wait to see how the battle for becoming the ultimate Runner will turn out! ReRunners is available to download for free on the iTunes App Store and Google Play.